From the author of the prize-winning New York Times bestseller Empire of the Summer Moon comes a thrilling account of how Civil War general Thomas “Stonewall” Jackson became a great and tragic American hero. 2. How did Jackson, an unpopular and highly eccentric college physics professor, become (in the space of fourteen months) the most famous military figure in the western world? 4. Jackson’s Valley Campaign shows how often victory or defeat hangs on the thread of chance. How did small decisions greatly impact the outcome? 5. Gwynne is not afraid to show the different sides of Jackson—a contradictory figure, a man who rode his troops almost as hard as his horse, Little Sorrel, and was responsible for the deaths of thousands of soldiers, but was in his private moments a loving husband and devoted Christian. Discuss Gwynne’s portrayal of the contradictions within his character. 6. How do Jackson’s personal views on slavery relate to his actions as a general? 7. Stonewall Jackson’s war-making strategies have merited generations of study. What in his strategies and leadership is significant today? 8. A review of Rebel Yell noted that “praying soldiers were often socially shunned and professionally unrewarded.” How did Jackson’s religious convictions imbue his leadership? How did his faith differentiate him? 9. What do you think attracted Gwynne to Jackson as a subject? He seems to occupy a much smaller place in the minds of Americans than other Civil War figures like Jefferson Davis or Robert E. Lee. Was Rebel Yell an attempt to correct that? 10. What surprised you most about Stonewall Jackson? 11. Do you consider Jackson an American hero? Why or why not? Did reading Rebel Yell change your opinion? How? 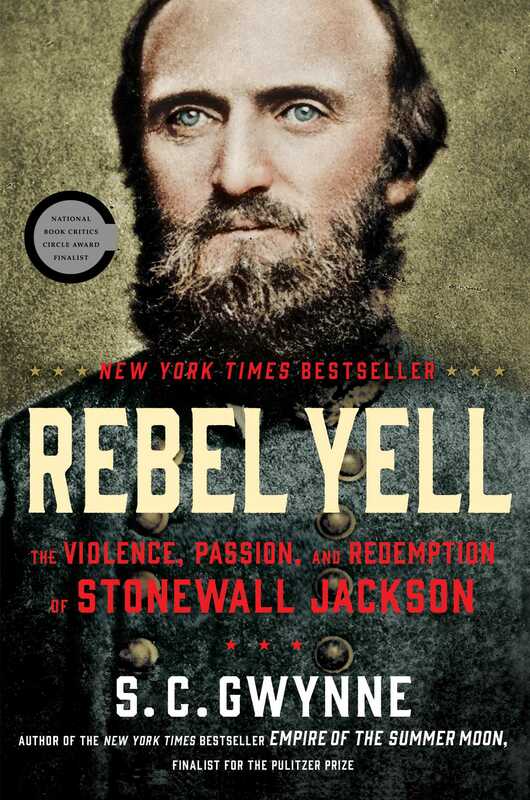 "In Rebel Yell, Mr. Gwynne's easy, loping style wraps itself effortlessly around the particulars of Stonewall Jackson's life, from his back-of-the-mountain upbringing to the outburst of military genius in the Civil War. The result is a narrative vivid with detail and insight." 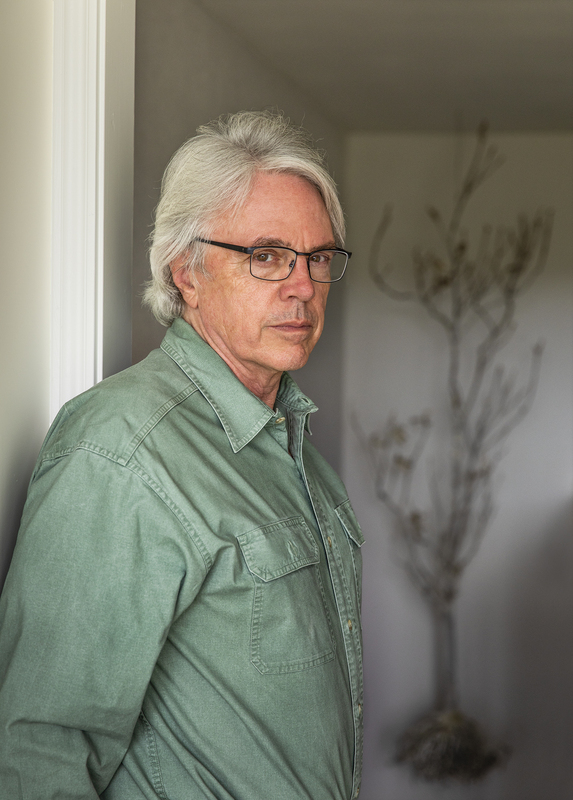 "In the magnificent Rebel Yell, one of the year's best biographies, writer S.C. Gwynne brings Jackson ferociously to life... His battle scenes are marvels of description and kinetic action. [He] brings a deep humanity to his portrayals of Jackson, his fellow Confederate generals and their Union adversaries... Gwynne's pages fly by, brimming with excitement and terror." "An engaging narrative with a pace that never flags... Gwynne accomplishes a great deal in his clear and highly readable book... If you read everything about the Civil War -- or if you have read very little about the Civil War -- Rebel Yell is an excellent addition to your reading list." "I've reviewed many books on the Civil War, and this is far and away the best biography of a Civil War general that I've read... If you're a Civil War buff -- as I am -- or if you're just interested in wonderful biographies -- as I am -- Rebel Yell is a must-read book. It reads like a novel, but it's based on extensive beyond belief research." "Gwynne’s portrait of Jackson is comprehensive, stirring, compelling....This well-researched portrait of a well-studied figure of the Civil War defies the odds and measurably adds to the scholarship surrounding Jackson and the conflict that defined him... The book is hard to put down." "Profoundly enlightening...The difference in Rebel Yell is...the historical sweep, the small touches, and the quality and clarity of the writing... Those sorts of little touches, page after page after page, set this book apart....Gwynne's Rebel Yell delivers what readers want and deserve — a brave, headlong charge into American history." "A worthy book that does much to present the general in a realistic, critical and evenhanded manner.... Gwynne writes with style... he creates vivid word pictures and descriptions that keep the reader engaged. Rebel Yell is a worthy addition to the shelves of those who study and read about the American Civil War." "S.C. Gwynne provides a comprehensive portrait of a complex man who triumphed on the battlefield--but remained an enigma... a joy to read." "[Gwynne's contribution] lies in capturing Jackson’s character, personality and historical significance. He interprets Jackson as a discipline- and God-obsessed social bore, yet one of the fiercest fighters and most brilliant minds in American military history... a 'living myth'...Jackson ascended rapidly from nerdy artillery and physics professor at Virginia Military Institute to Lee’s audacious and seemingly invincible lieutenant." "September’s most scintillating read may be a 640-page biography of Thomas “Stonewall” Jackson... S.C. Gwynne’s riveting retelling of the canny Confederate whose strategies shaped the early years of the Civil War is just that good." "A stimulating study of Confederate Gen. Stonewall Jackson... Gwynne reveals him to have been an early master of modern mobile warfare and a clear-eyed interpreter of what modern 'pitiless war was all about'... Readers are likely to agree that, without Jackson, Lee 'would never again be quite so brilliant,' while even in the North Jackson was considered, rather than a rebel, a 'gentleman and... fundamentally an American.'" "Spry prose and cogent insight....Showing Jackson’s exploitation of speed and deception, Gwynne’s vivid account of his Civil War run, which ended with his death in the 1863 Battle of Chancellorsville, is a riveting, cover-to-cover read for history buffs." "VERDICT: This popular history is recommended for all readers interested in the Civil War."